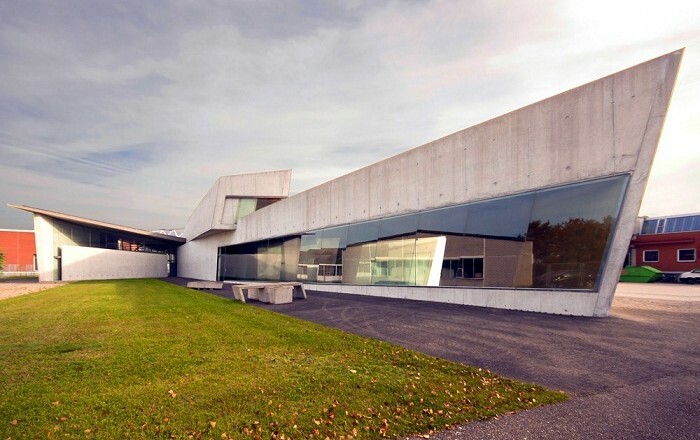 Vitra Fire Station is a building which was built a decade after the devastating fire that occurred in 1981 caused by a lightning, burning down the previous building, of the factory complex with the same name in the small town and commune Weil am Rhein in the south of the Federal Republic of Germany. 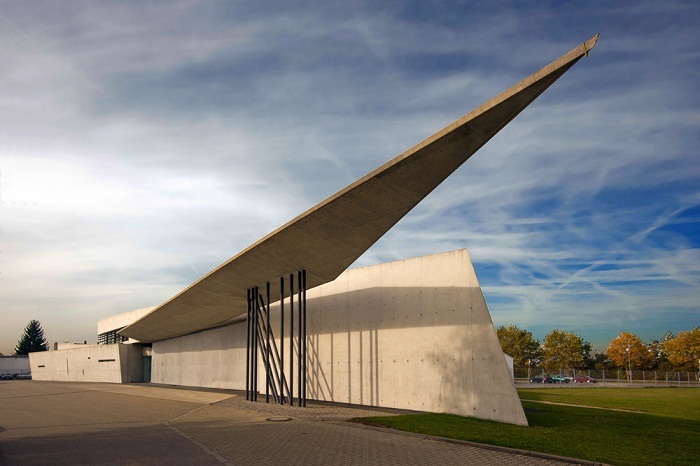 The architect behind this work is the Iraqi-born British Zaha Hadid, for whom this was the launching project to the international audience. 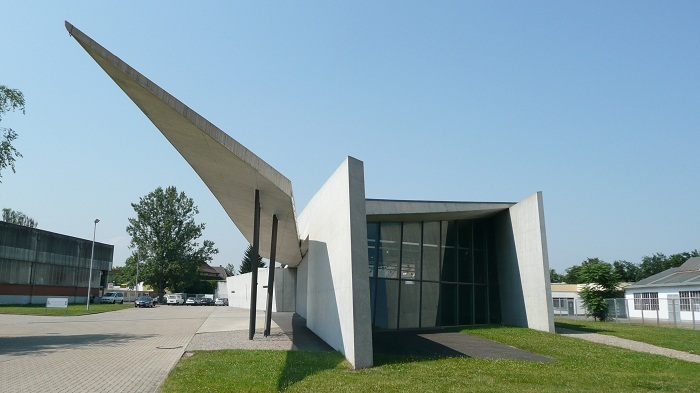 Completed in 1993, the building’s obliquely intersecting concrete planes represent the earliest attempt to translate Hadid’s fantastical, powerful conceptual drawings into a functional architectural space. 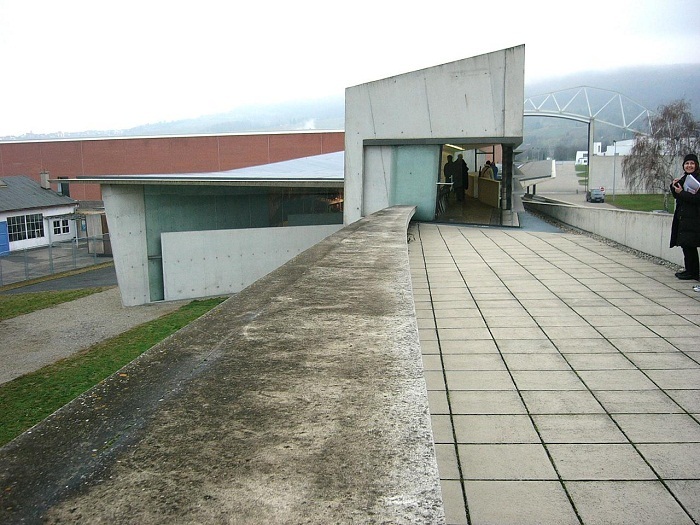 The planes that serve to shape and define the street running through the complex, it comprises of factories, showrooms, and the Vitra Design Museum. 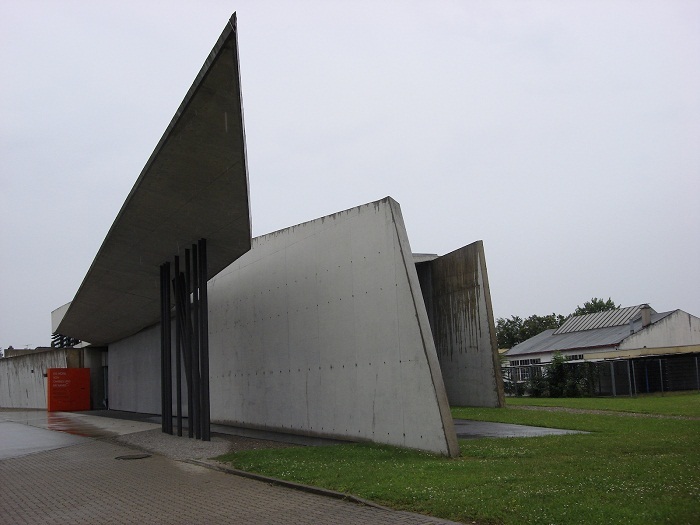 As part of the initial design process, Hadid and her associate Patrik Schumacher began relating the existing buildings on the campus to the surrounding agricultural context. 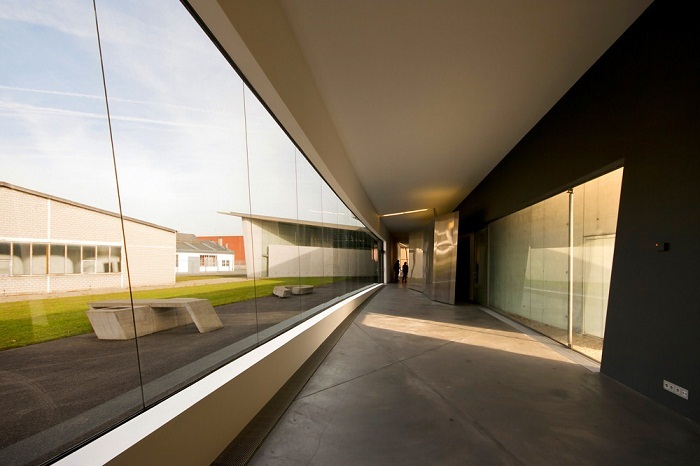 The long road where the fire station is located at the beginning was envisioned as a linear landscape as if it were an artificial extension of the adjacent fields and vineyards. 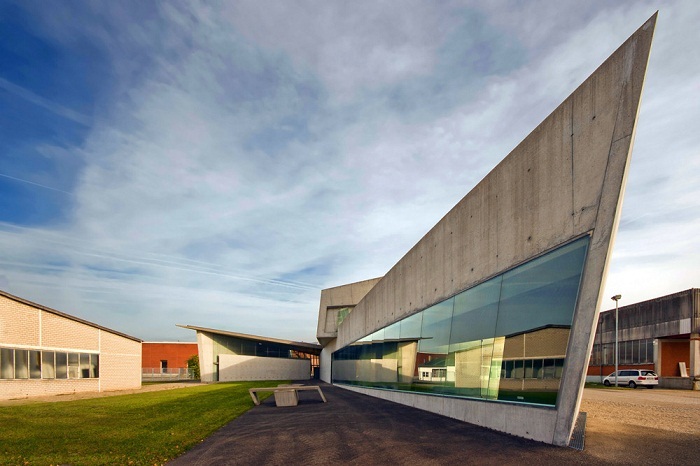 The fire station is a composition of concrete planes that bend, tilt, and break according to the conceptual dynamic forces that are connecting landscape and architecture. 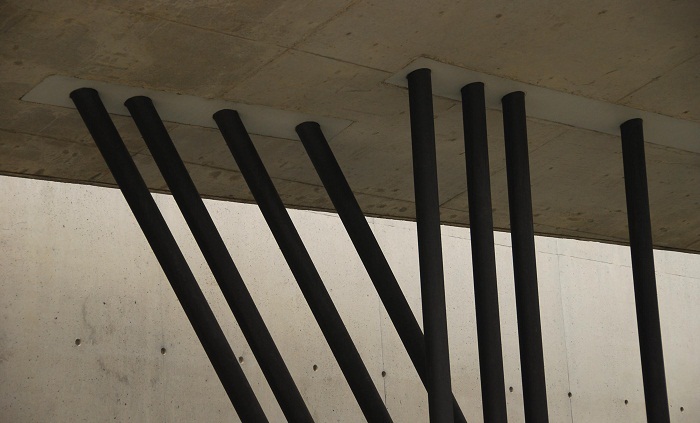 The building is thought to be frozen in motion, heightening the dynamism of the forces used to create the formal aesthetic that is suspended in a state of tension creating a sense of instability. The unique shape of the planes give the sense of instability which is intensified as horizontal planes slip over one another, while another projects out over the garage bay. 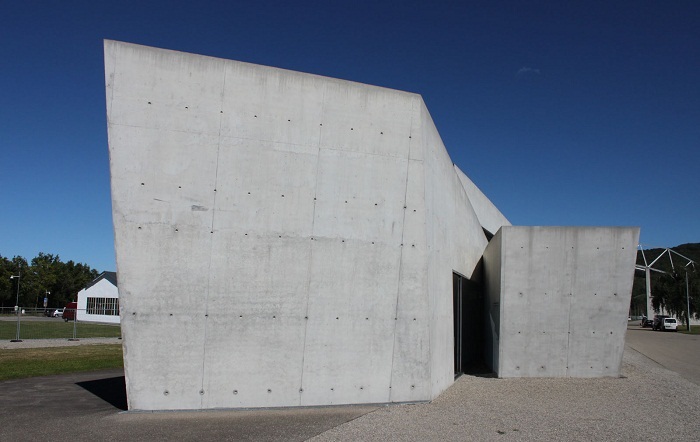 Always in a state of constant uneasiness, the concrete planes embody a heavy, opaque quality that restricts views into the building except for when the walls begin to split from the building. 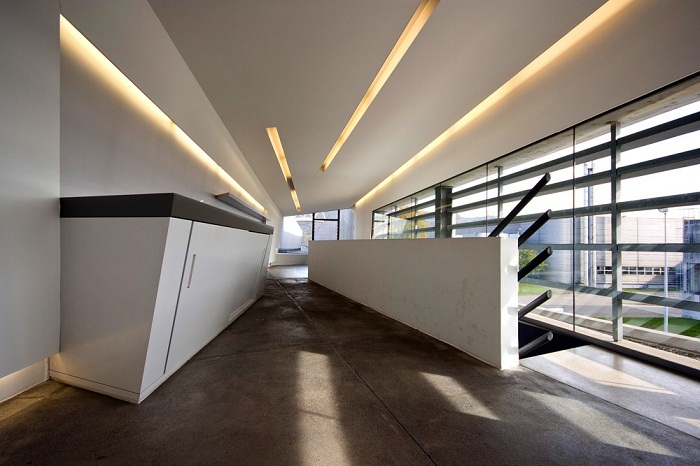 The interior of the building is just as complex formally and spatially as the exterior, however, the second floor is slightly off balance with the ground floor, which creates a sense of spatial instability within. As the planes slide past one another and begin to manipulate according to program, visitors are subject to optical illusions that the angles and glimpses of color begin to create within. 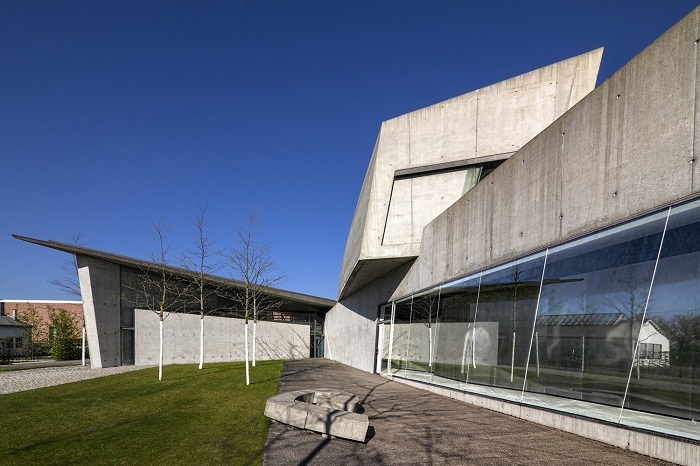 Nowadays, the fire station has been converted into a museum, not as it was intended at the beginning, but ultimately represents a huge milestone in the career of the British architect. Proving that she is capable of moving past her reputation as a “paper architect” to create architectural space that was as functional as it was radical, Vitra Fire Station stands out as one of the most exceptional architectural projects.